Ia ora na! Get Online Tahitian lessons from our Personal Language Tutors through Skype to increase your opportunities for career, travel, business or friendship! Tahitian language is widely spoken mainly in the Society Islands in French Polynesia where the Island Tahiti is located. It belongs to the Eastern Polynesian group within the Austronesian language family. Tahitian is the official languages of Tahiti and her islands along with French language. French is used in schools and business while Tahitian language is still preferred by most islanders for all informal communication and in homes. Before the arrival of the missionaries in the 1700's Tahitian was purely an oral language. It was first written when missionaries of the London Missionary Society arrived here in the early 19th century. Today Tahitian is written using Latin script. Tahitian is closely related to Hawaiian, Maori, Marquesan, Tuamotuan, Samoan and Tongan languages. The Tahitian language is easy to pronounce as there are only five vowels and eleven consonants. They have a similar pronunciation to English. Because of this it is generally easier for English speakers to pronounce Tahitian words when compared to other languages like French. Also each letter has a particular sound that remains the same irrespective of the combination of letters. Every syllable in the Tahitian language ends in a vowel. There are no silent letters. Also in Tahitian no two consonants are used together without a vowel between them. However two or three vowels can be to be grouped together where each vowel would be treated as a separate syllable and would be clearly pronounced. Are you planning to travel to island of Tahiti and immerse yourself in the local culture? Looking to expand your business or impress your spouse. Here is a place to learn Tahitian Online through Skype with our Native Teachers anywhere anytime! In Tahiti, English is well spoken in the tourist areas and resorts. But the best way to thank locals is in their own Tahitian language. You will certainly make a good impression with the locals. Tahitians are very friendly people and any attempt by foreigners to learn their language will make their face lit up with happiness and pride. The study of Tahitian language is the first step toward entry into the world of the Tahitian people, their culture and lifestyle. 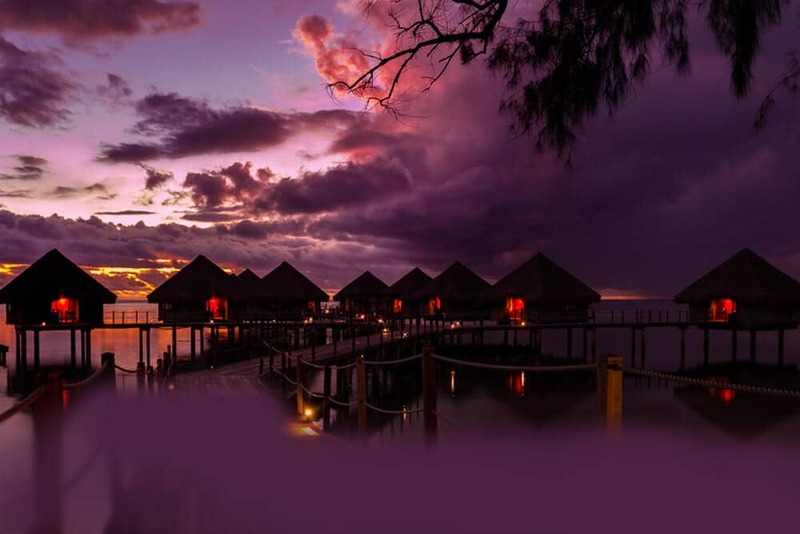 Also while visiting Tahiti if you want to do some exploring on your own, and want to venture into the local's hot a spot, knowledge of Tahiti is recommended. There are many ways to learn Tahitian. You can learn Tahitian in the classroom hire a private tutor or learn from books, audio courses and CD’s. But the most effective way to learn a language is through online language courses. Learning a new language with a private tutor online is faster, easier, and more fun than other language learning methods. If you plan to study Tahitian online via Skype, we can offer you a language course that fits your needs. Here you determine the learning goals, pace, and focus of your private language lessons. Our one-to-one teaching approach is catered to your learning goals and needs. All of our teachers are native speakers who have an impressive background in teaching and will prepare you for real conversations with real people. So what are you waiting for? Join our online Tahitian classes and study Tahitian in a fun, fast and affordable way! You can now take Tahitian classes one-to-one using Skype with a tutor of your choice. Our Tahitian lessons are custom, effective, comfortable, and fun. Pick a tutor NOW! Choose anything specific. Whether it is conversational Tahitian classes, business Tahitian lessons or just learning how to greet and impress a loved one. We can help you with them all.